If you’ve seen me lately, you already know I’ve been living in my J.Crew men’s chambray utility shirt. Purchased one size too big, it floats perfectly around my body on those days when it really is too hot to be wearing any clothes at all. I have dreams of being able to wear the shirt as a dress, belted haphazardly with braided leather and worn with very simple sandals or moccasins, but to do this successfully I’d need a good six inches added to the shirttail, as I am on the tall side. 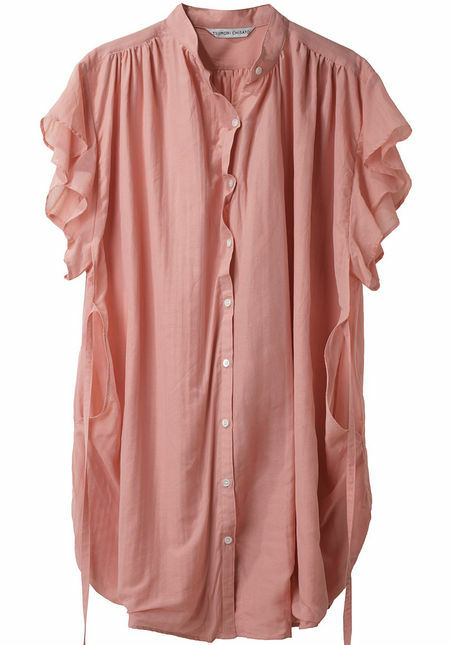 Ruffled Button Down Dress by Tsumori Chisato. Henley dress by 3.1 Phillip Lim. Clyde dress by imogene + willie. Cleo dress by Billy Reid. 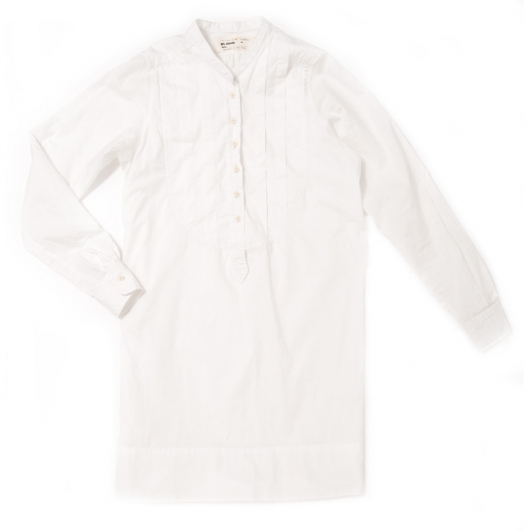 Collarless Full Shirtdress by Mardi Jeudi. I wear second hand men’s dress shirts as dresses in the summer…the best kind being the ones that need studs…you can get studs from e-bay if you haven’t any charity shops near you (or thrift shops you lot call them)or even use cuff links to join the button holes..attach a collar (with your studs) if you like, belt if you like…use sleeve garters to gather up superfluous sleeve volume/length..oh and wear a nice plain full slip/petticoat underneath. How you dress it up or down is up to you. I do like your selection Mariah;very pretty. Amazing, Rose! I love this idea. I am just a little worried that I won’t be able to find anything long enough since I am quite tall… We shall see! Why am I not surprised that my favorite one is Philip Lim? I can’t get enough of that man. Love the second pic the most. i can imagine traipsing along the beach in that. 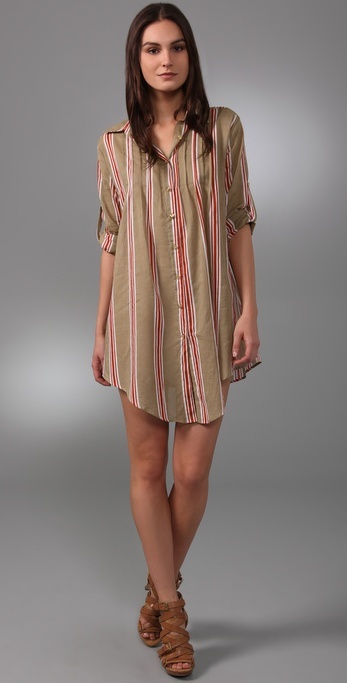 You are currently reading Summer Wants: The Perfect Shirtdress at Quite Continental.